Hello and welcome to live coverage of Andy Murray's third round match against Italian Andreas Seppi - a victory on Centre Court would set up a clash with the winner of Jo-Wilfried Tsonga or Ivo Karlovic. Elsewhere Roger Federer, Petra Kvitova and fellow Brit Jamie Ward are also in action. We'll bring updates from the various games throughout the day with game-by-game updates of the Murray match. The IndependentWhat a contest. What a performance. What a shame. Heather Watson played the greatest match of her life here only to suffer the same fate as countless players before her as Serena Williams dug deep to win a thrilling third-round contest on Centre Court. 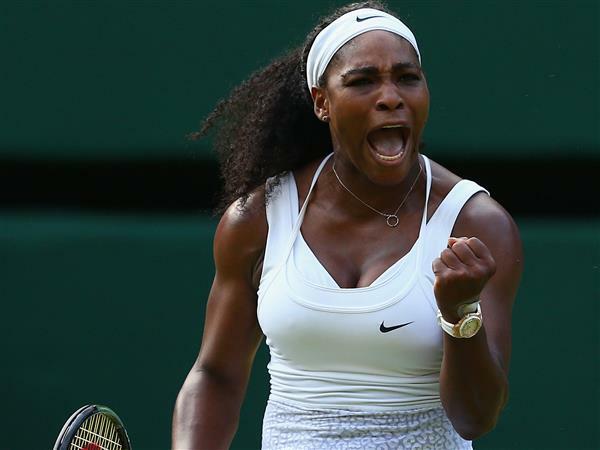 The British No 1 served for the match at 5-4 in the final set before Williams recovered to win 6-2, 4-6, 7-5. 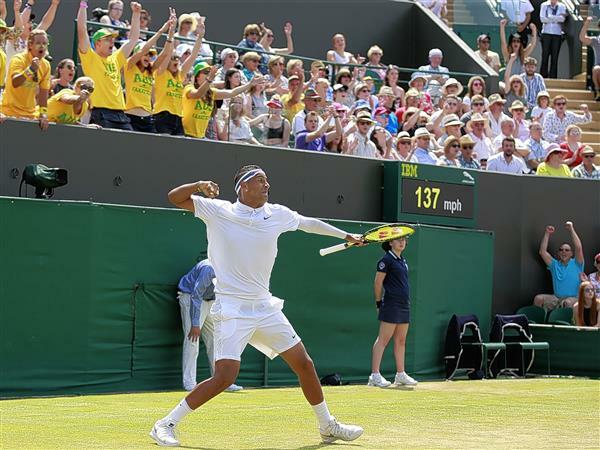 The IndependentBy the round of 32 at Wimbledon, all those left in should theoretically be seeds, and leading players who have come through two easy matches can expect something tougher. Before coming through 6-4, 6-3, Maria Sharapova duly found the Romanian seeded 29, Irina-Camelia Begu, providing stiffer opposition than her two previous adversaries had done. The IndependentSabine Lisicki changes coaches as often as I used to change wives, and that’s way too frequently. You can’t have continuity doing that. You watch her play and at one point you’re saying “Holy tuna, she’s unbeatable,” then four or five minutes later the ball is going into the stands. 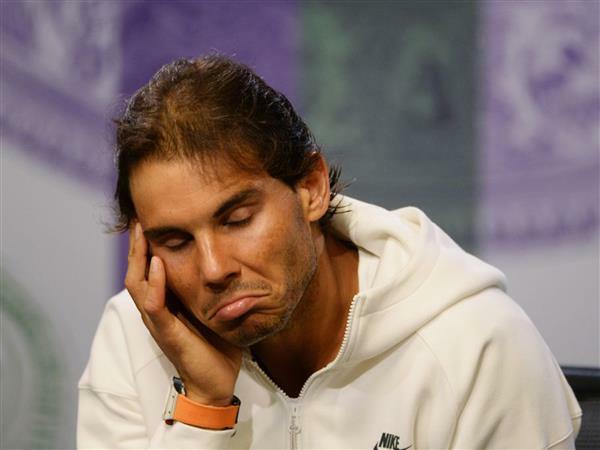 Rafa Nadal's conqueror Dustin Brown has become the conquered after he lost to Viktor Troicki three sets to one. The IndependentAt its most extraordinary, his tennis was borderline ludicrous and though some may say he will need to settle down and find his head if he is to reach the elite ranks, most of us can simply rejoice at the beautiful, uncomplicated non-conformity that Nick Kyrgios brings to tennis. It is an incredible colour he adds. The IndependentThat the phrase “the end of an era” should be among the most overused in all the language is precisely because it has never in reality actually happened. There is no fixed mark at which any era comes to an end, any more than there is when one begins. 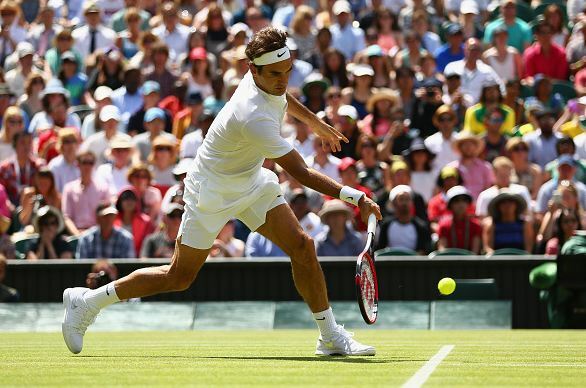 Roger Federer has beaten Sam Groth two sets to one to progress to the fourth round. 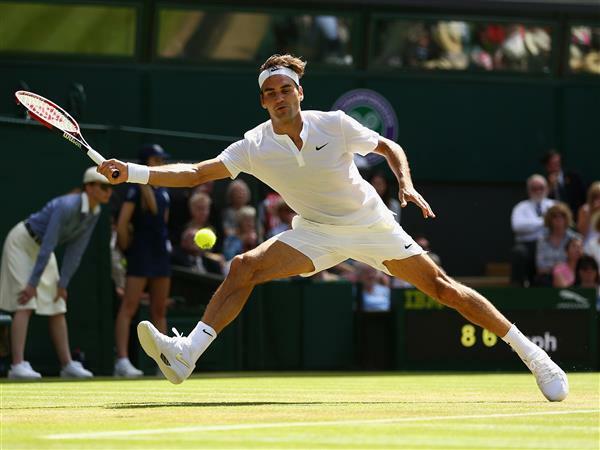 The IndependentPomp and circumstance launched Wimbledon's sporting Saturday with a host of stars announced to adoring crowds, before Centre Court's real king Roger Federer quickly reclaimed the limelight. 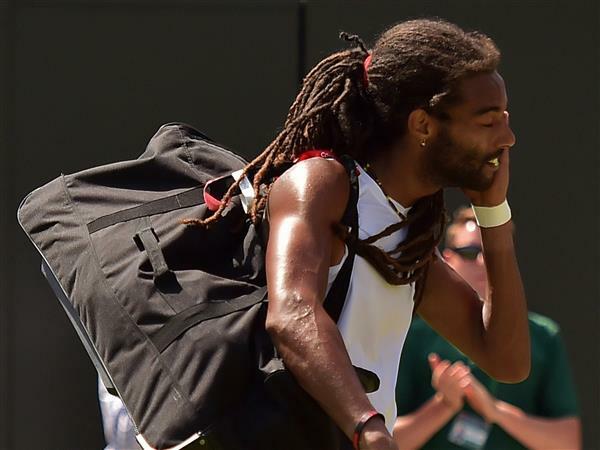 The IndependentDustin Brown's Wimbledon success story may be over but the German insists his shock second-round victory over Rafael Nadal will stay with him for life after he was beaten in four sets by Viktor Troicki on Saturday. Apologies, we've been experiencing some technical difficulties here. We're back online now but we have missed the first set, which Murray won quite quickly, 6-2. The Scot has just broken Italian Seppi in the first game of the second set - excellent stuff so far. The IndependentDefending champion Petra Kvitova crashed out of Wimbledon in a stunning upset on Saturday as Jelena Jankovic won their Centre Court duel. 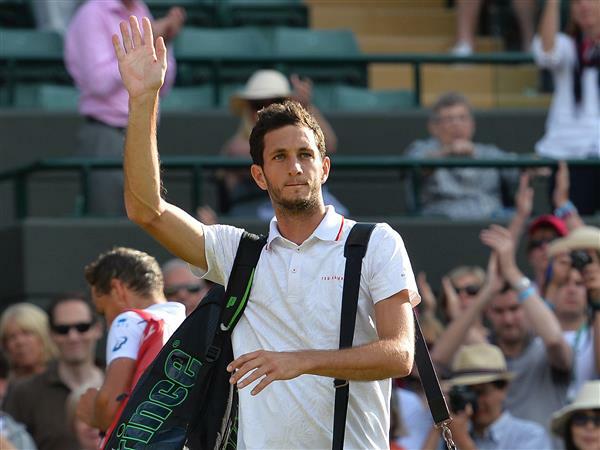 The IndependentJames Ward's finest-ever grand slam showing has ended in an agonising five-set defeat to Canada's Vasek Pospisil, with Wimbledon's second week remaining just out of reach. 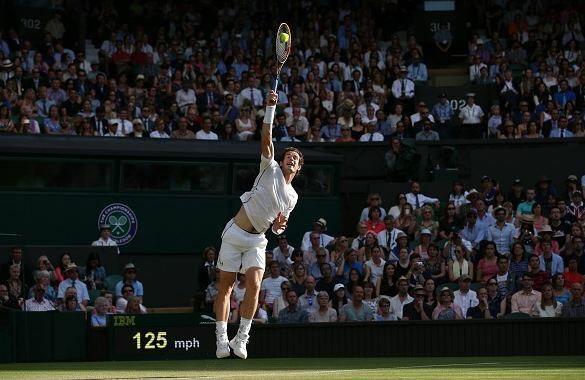 Murray is making quick work of this second set too and is up 3-1, playing some fantastic stuff. Seppi is really struggling. Murray is excellent here and Seppi is looking completely overawed by the occasion. As a Mexican wave goes around Centre Court the Scot takes a 5-2 lead. Seppi is back on the court, leading 2-1 with Murray to serve. Well, well. It's just got a bit interesting with Seppi breaking Murray. Perhaps he was reading our blog and got a bit complacent. Seppi has held serve and is now 4-1 up in the third set - it's all going wrong (ish) for Murray. Any hopes I had of an early exit are definitely over, at any rate. And now Murray is grabbing his shoulder after every serve. Oh my. 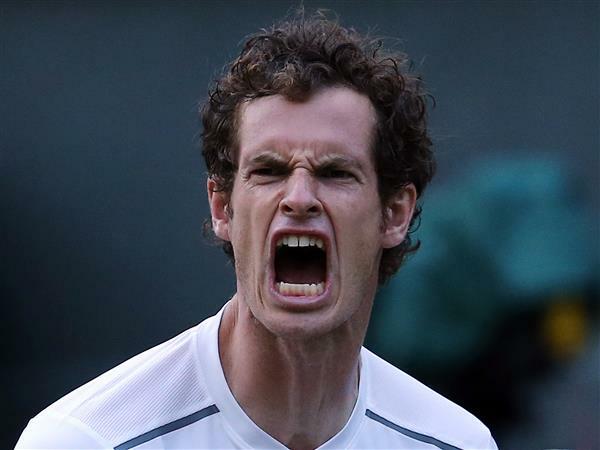 Murray has just been broken again - 5-1 to Seppi. It'll definitely go to a fourth set, at least. Murray comes to the net to force break point but Seppi brings it back to deuce. The Scot defends two set points but it's third time lucky for Seppi and 6-1 to the Italian means we head into a fourth set. Encouragement for the Scot, though, as Murray didn't seem to be feeling his shoulder during that game. A bit of fight on the counter-attack, too. Reasons to be positive. Seppi forces break point with a beautiful groundstroke beyond the stretching Murray. The Scot successfully defends, holding his nerve to win a 23-stroke rally. But after a few exchanges Seppi has the advantage and returns Murray's second serve to break early in the fourth. The world No. 3 is flagging, here. Murray is taking a medical time-out here and boy does he need the time to regather his composure. The worry is it's Murray's right shoulder that's getting all the attention. Two break points for Murray as cheers erupt around Centre Court - much better now. Murray breaks! The pair exchange backhands in a long rally before Seppi makes a slight mistake leaving one just a bit short, he hits a powerful forehand and Seppi goes long with a return. There we go - Murray wins that game to love, right back in the flow of it as the WImbledon fans get some relief. Murray breaks again! Three of the points were won off three unforced errors by Seppi but there's some real zip now in the Scot's shots, something he had lost a couple of games ago when he was struggling with that shoulder. Another game for Murray, who senses he's close to a victory here. All the confidence Seppi 15 minutes ago seems to have vanished. He breaks again! Into (what should be) the final set we go as Murray takes it to a level that Seppi can't get close to! Murray lost six games in a row just a short while ago... he's now won five of his own in a row and looks unstoppable. And there we go! He wins in with an ace - what a phenomenal performance in the last half an hour, Murray took it to a whole other level after looking down and out for a period. 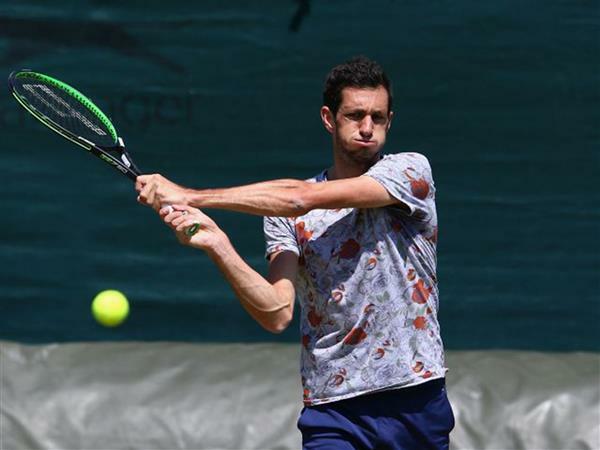 The IndependentAndy Murray is the last Briton standing in the singles at Wimbledon after he overcame a third-set blip to beat Italy's Andreas Seppi and book his place in the fourth round.